Hammour Ziada Hammour Ziada was born in Umm Durman, Sudan in 1977. He has worked as a civil society and human rights researcher, and is currently a journalist based in Cairo. He is the author of two novels and two collections of short stories. 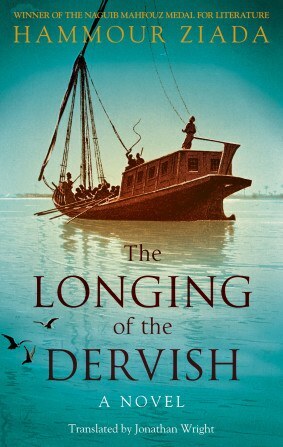 The Longing of the Dervish was awarded the Naguib Mahfouz Medal for Literature in 2014 and was shortlisted for the International Prize for Arabic Fiction in 2015. At the close of the nineteenth century, freed slave Bakhit is let out of prison with the overthrow of the Mahdist state in Sudan. On the brink of death, the memory of his beloved Theodora is all that has sustained him through seven years of grim incarceration—that and his vow to avenge her killing. Set against a backdrop of war, religious fervor, and the monumental social and political upheavals of the time, The Longing of the Dervish is a love story in the most unlikely of circumstances. Lyrical and evocative, Hammour Ziada’s masterfully crafted novel is about sorrow, hope, and the cruelty of fate.